The Badger Herald Editorial Board is composed of seven members of our staff and represent the voice of our editorial department. 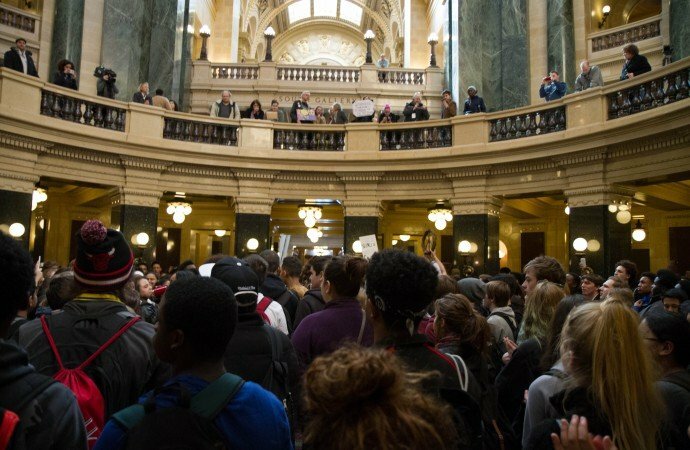 Our mission remains the same — to speak up and take a stance on the most relevant issues concerning the University of Wisconsin campus community, city of Madison and state of Wisconsin. In addition, we welcome one or two students from the campus community who are not Herald staff to serve as our campus liaisons, to ensure this Board continues to challenge itself with new perspectives as well as represent voices outside our own staff. Dear person reading this: hey, I’m Lucas, but you can call me Lucas. I’ll be the opinion editor this semester which means I edit the opinion section. If you’d like to argue about Disney movies, the NBA or you’re just looking to chat about the world, I dabble. I’ve lived in the Twin Cities my entire life and cannot think of a better place on the planet. Basically, if you like tremendous people, a baller atmosphere and an overwhelming feeling of pride in your community, swing on by, we’re happy to have you. If you disagree, let’s write a point counterpoint together – I rarely get an opportunity to put my love for Minnesota in written words. The name is Alice, the status is senior and the major is Biology. This is my sixth semester at The Herald and my second semester on the Editorial Board. Excuse the “who, what, when, where, why” style of writing, but as a survivor of the city desk and general world of news, I am not quite sure how an opinion piece is supposed to look like. As mentioned previously, I spent most of my time covering news, the majority of which included reporting on local government and the aftermath of the 2016 election. This year, I am excited and humbled continuing my work as Editor-in-Chief for The Badger Herald. As much as I wish I could eat cold pizza at the Herald office forever, eventually I’ll change out of these seven dollar Old Navy jeans and beg for a job working in public health, somewhere far from the Midwest where I can take the train everywhere. But for now, here I am, firmly planted in Madison, complaining to you about white boys (why can’t you dance?). What up, I’m Abby, I’m 19 and I never learned how to read, but since my a capella career never took off, I chose The Badger Herald to share my obviously important opinions with the world. I’m a freshman (sorry), majoring in political science and intending to major in journalism, which basically means, yes, I am as cocksure and obnoxious as I sound. By the way, cocksure is a word, google it. This is my second semester with The Herald, and my first as opinion editor. As juvenile as it sounds, even if I never find a job in my field (I had to say it before the STEM majors could), I know I want to spend my life helping people. I hope that my work at The Herald, both past and present, portrays the truth and lets even the smallest of voices be heard. As long as we have First Amendment rights, I’m going to use them, even when my mom tells me to shut up. When I’m not writing about my frustration with the current political climate, I’m probably eating dairy products despite my lactose intolerance and crying about Dr. Spencer Reid. What can I say? I suffer for my art. But I don’t want you to suffer too, dear reader. If you have opinions that must be heard, shoot me an email at [email protected], because we always love having new faces around the office. If this scrappy freshman can finagle her way onto the Editorial Board, there’s no telling the limits you can soar to. Even if you don’t want to write for us, ya girl is single and ready to mingle, and I check my email regularly. Peace and blessings, my dudes. I’m Eric Hilkert. I’m a junior here at UW studying finance. I’m from New Jersey originally (and no I’ve never met Snooki), but Madison already feels like home to me. This will be my fourth semester writing for The Herald. I have spent my whole time here writing for the opinion section, and I was recently promoted to associate editor. Some of my favorite topics to cover have been Trump and the devolution of the Republican Party. I was somewhat conservative growing up, but as I have seen more of the world and watched the Republican Party move farther right, I have definitely pivoted to a liberal stance. That said, I strive for fairness in my opinion articles, and to treat everyone with the respect they deserve. One of my goals for this semester would be to become more involved with local and campus issues, and write more about those topics. 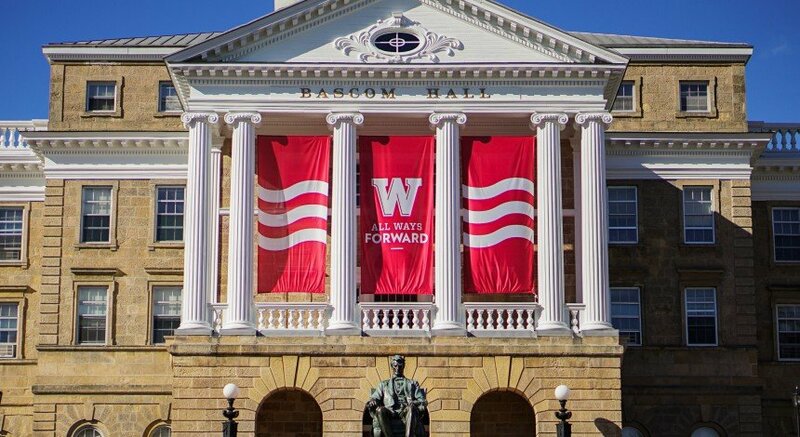 I am really excited to take on more responsibility and continue the tradition of excellence here at The Badger Herald. Hey there! My name is Cait and I like coffee, chacos and controversial topics. I’m a sophomore studying math, statistics and Chinese, and my go-to at Shortstack is the sweet potato pancakes. This is my second semester with The Herald and my first semester on the Editorial Board. I have grown to love the Dairy State, but my loyalties will always lie with the great of state of Minnesota, where I was born and raised. When I’m not writing for the opinion section of The Herald, I am an avid puzzler, intrepid triathlete and huge fan of The Bachelor. Hey there, I’m Aidan McClain and I’m at junior here at the UW. Originally from Chicago — not the suburbs — I came to UW because of its great journalism program. Fun fact: I went to the same high school as Chance the Rapper and walked past him on the streets, so be careful when you meet people — you never know who you can end up being friends with. I obviously didn’t take advantage of that opportunity because here I am suffering in school and not hanging out with the now rich and famous. This is my fifth semester at The Badger Herald but my first time on the editorial board. In the past, I was one of the ArtsEtc. editors and this semester I’m one of the social media coordinators. Although I’ve never written about opinion topics for the paper, I’m excited to expand my knowledge about the issues that affect our campus, city and state.